Hello to all my friends and family back home! So even though I am very happy with what I am doing and where I am at right now, I’ve been feeling a lack of the spirit recently. So I called my mission president earlier today and he really picked me up with some encouragement and advice. He’s so amazing – I love that he’s here. He truly loves all of us missionaries that are assigned to him. Through this experience I also learned about the power of prayer! It’s so easy to share the gospel, once you get into a routine it is definitely hard to stop doing it! It is a little scary though sometimes, but if you know what you claim to know, nobody can take it away from you. I also learned that sharing the gospel isn’t something we do because it makes us happy – that’s just a side effect. Sharing the gospel is something we do because we understand how essential it is in God’s plan for ALL of His children! This work is NOT for the dogs!! 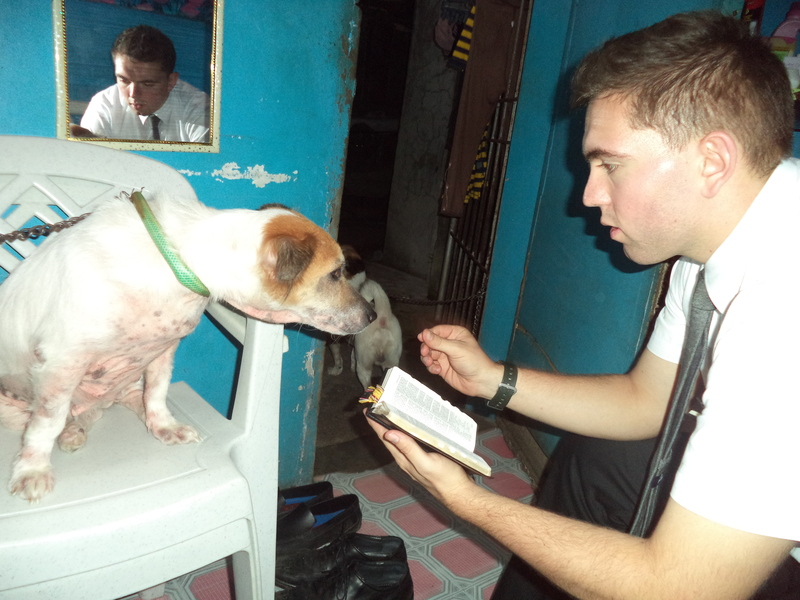 I am glad to hear that the ward members back home are being encouraged to work more with the missionaries. I have come to learn that if the individual being taught does more of the talking (ie. asking questions, reading the scriptures), that’s when the magic happens. The “inspired teaching method” is amazing. It’s all about asking inspired questions that help the investigators really think about Christ and His purpose for them. Cool right? I think so! Transfers are coming up but we won’t hear about them until tomorrow. Please tell everyone that I’m doing well and that I’m excited to train a new missionary! I’m probably re-opening an area that hasn’t had missionaries in a while. It would be neat if it was out on one of the islands like Mindoro or Marinduque, but that’s a dream because those are the island paradises… Hoping though! That would be so cool right??? I love you all and keep you in my prayers!